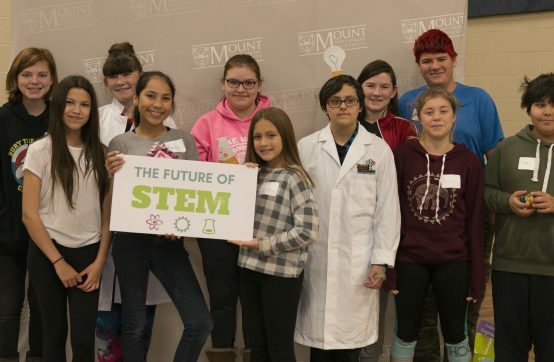 On November 16th, 2017, twenty-seven Aboriginal youth from across the province came together at Mount Saint Vincent University for a fun day to explore what STEM is all about. The youth participated in a hands-on engineering design challenge where they worked in teams to design and construct a functioning windmill with limited resources. They also had the opportunity to learn about exciting STEM careers, such as chemical engineering and dietetics, from local Aboriginal professionals working in these fields. The participants found it a challenging but fun day and were enthusiastic to participate in more hands-on activities, with several of the youth commenting ‘it was really fun and would love to come again’. 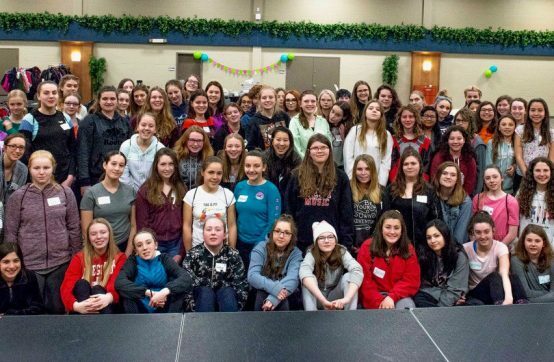 The new Girls Get WISE Science Camp for girls 15 & 16 years old, which took place August 28-31, 2017, was pleased to welcome the Federal Science Minister, the Honourable Kirsty Duncan. On Tuesday, August 29th, 2017 the Honourable Kirsty Duncan stopped by the Girls Get WISE Science Camp to share with the girls her experience working as a science researcher. Minister Duncan also spoke with each of the participants and encouraged them to continue their math and science studies. We are thankful to the Minister and her team for the visit! To read more about the Ministers visit click here. 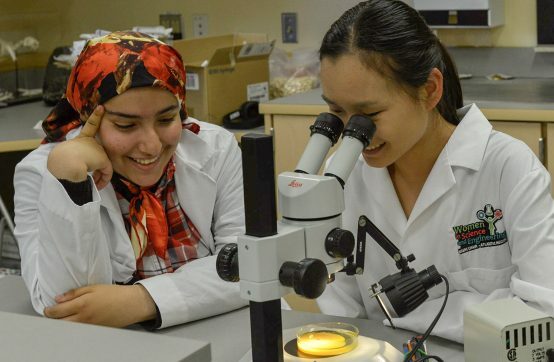 Girls in this camp also had the opportunity to learn about research in areas such as Organic Chemistry, Marine Biology, and Mathematics, from local female researchers who came to share their research with the girls. Of course, participants also participated in fun and challenging hands-on science experiments and activities throughout the week. Robin Durnford writes how university's reliance on contract labour is creating a hostile environment for female professors. 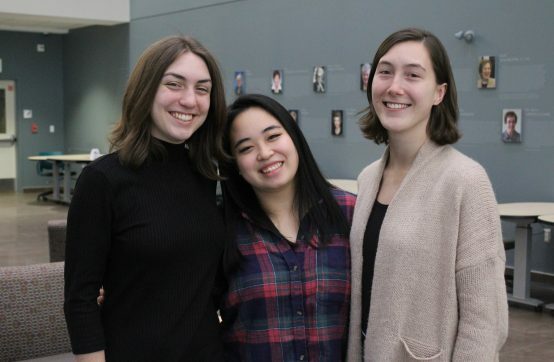 This article sheds light on the impact of contract positions, and their ramifications for women in academia. 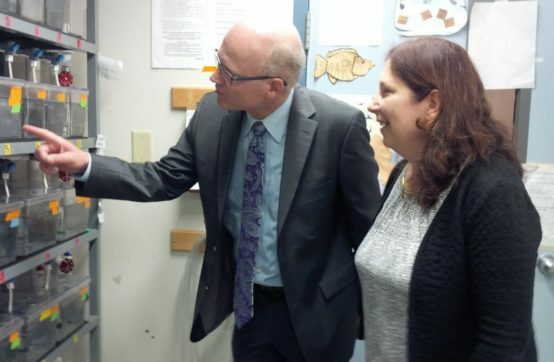 This past May, The Honorable Geoff Regan, MP for Halifax West and Speaker of the House of Commons, visited Dr. Tamara Franz-Odendaal's lab to learn more about her research, and the WISEatlantic program. Dr. Franz-Odendaal was later featured in his Summer 2017 constituency newsletter. 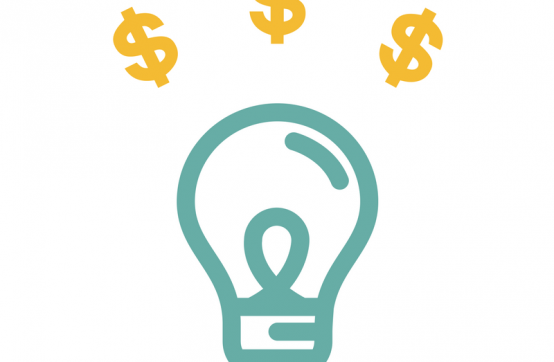 Read the article (on page two of the newsletter) here. 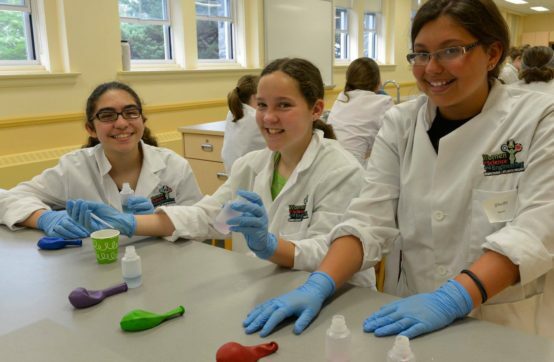 The annual Girls Get WISE Science Summer Camp was an exciting week-long day-camp that took place from July 17-21 at Mount Saint Vincent University. 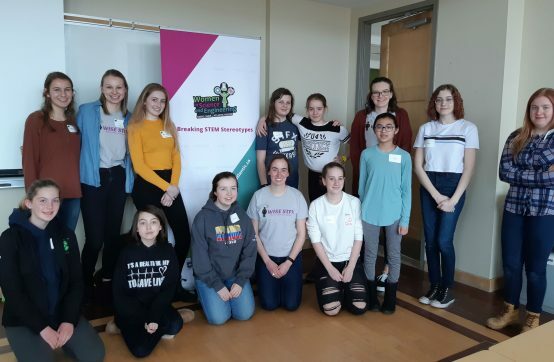 23 girls ages 12-14 years old explored science through hands-on activities, and discovered careers in Science, Technology, Engineering, and Math (STEM) by meeting and chatting with women working in STEM fields. Girls enjoyed tracking the development of zebra fish embryo’s throughout the week, and participating in fun engineering design challenges, a Crime Scene Investigation, soldering to create circuits for a flight simulator with Lockheed Martin, and much more! Camp participants also met inspiring women during the role model session, including women working in biology, engineering, and technology. Thank you to our volunteers, and everyone who took part in making the camp such a success! Pictures taken during the camp can be viewed on our Facebook page.